In partnership with Style Etiquette and Shinz Productions, the ‘Man of Substance 2018’ aimed to recognise, appreciate and celebrate the inner strength of men from all walks of lives. Hailing from diverse backgrounds, each participant had his own story to share. Whether it was overcoming a struggle in life or contributing greatly to the community, all participants embodied true courage and resilience. 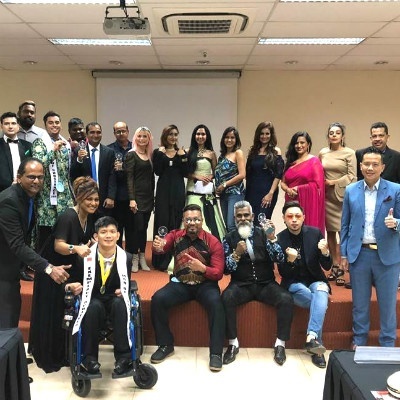 The afternoon saw nominees showcasing their talent and passion, a catwalk with participants dressed in formal wear, and the announcement of two important awards – the Exemplary Achiever Award 2018 was given to Mr Wesley Wee, who recently published a book by typing with his toes due to having cerebral palsy since the age of five, and Mr Vijay Singh Minocha was honoured with the Lifetime Achiever Award 2018 for his selfless contributions to the community.